If you follow me on Instagram, then you probably understand the radio-blogging-silence on my end has a whole lot to do with my husband and I’s current housing situation. One which I plan on throughly blogging about, just as soon as I’m finished painting. And in case you didn’t already know, repainting an entire home is in fact, first world torture. 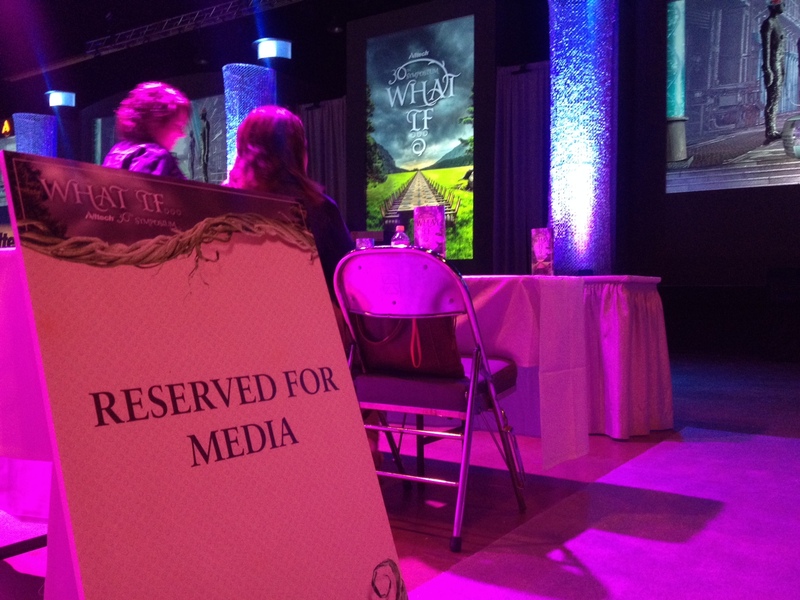 But anyway, somewhere in the midst of “do I want Grassy Meadows or Pine Forrest canvased on our guest room walls,” I was invited to attend the 2014 Alltech Symposium in Lexington. Yeah, yeah, you cover events for sponsoring companies for a living, what’s the big deal? Is what you’re currently thinking. You were?! I knew it! I really should play the lottery. Yes, you are correct, outside of my personal blogging I am a professional writer, reporter, photographer, editor — jack of all trades, master of none — BUT, this time was different. 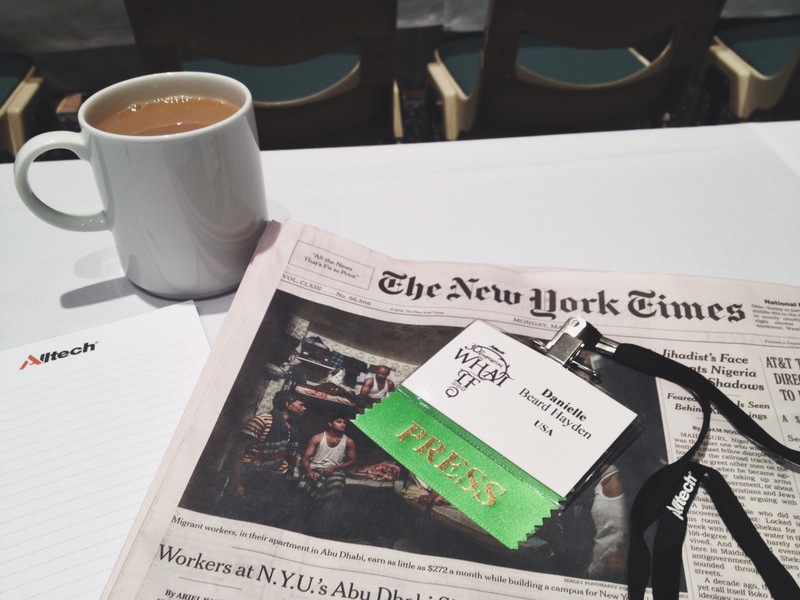 THIS time I was invited as a blogger, representing myself. I know, I know, I’m still as stunned as you are. Apparently laying it all out there and displaying my quirky personality and sarcastic sense of humor for the world actually accomplishes things. So somewhat last minute I was invited to join a group of agriculture bloggers to cover the event in live tweeting, note taking, blog writing and all-around fun having. And I had fun. Boy, oh boy, did I have fun. Basically, they dabble in everything… Internationally. Citizens from over 60 different countries were in attendance. I was culturally fascinated. However, somewhere in the week there were a couple of mixups of my cultural background. Assuming everything about me screamed, “Merica!” I was caught off guard while playing on my phone during an elevator ride with two people from France, two from China and two from the UK, I hear someone say something, a pause, and then “I don’t think she speaks English,” only to look up and see the two gentlemen from the UK looking at me… Really?! Out of EVERYONE of this elevator, I’M the one you’re wondering about being English speaking? During Alltech night at the horse park, many countries sported similar apparel. The Chinese were dressed straight out of a John Wayne western, the Brazilians wore bright yellow, the Mexicans wore gigantic sombreros, the Chileans donned small white cowboy hats with red, white and blue emblems and the Moroccans were in some kind of white with red embroidery get-up. Somewhere towards the end of the evening — after witnessing crowd surfing South Americans and realizing those from the continent of Asia really have a love for Michael Jackson’s music — I ended up with a sombrero on my head. To which I have Taysha of Dirt Road Charm to thank for scoring for me. 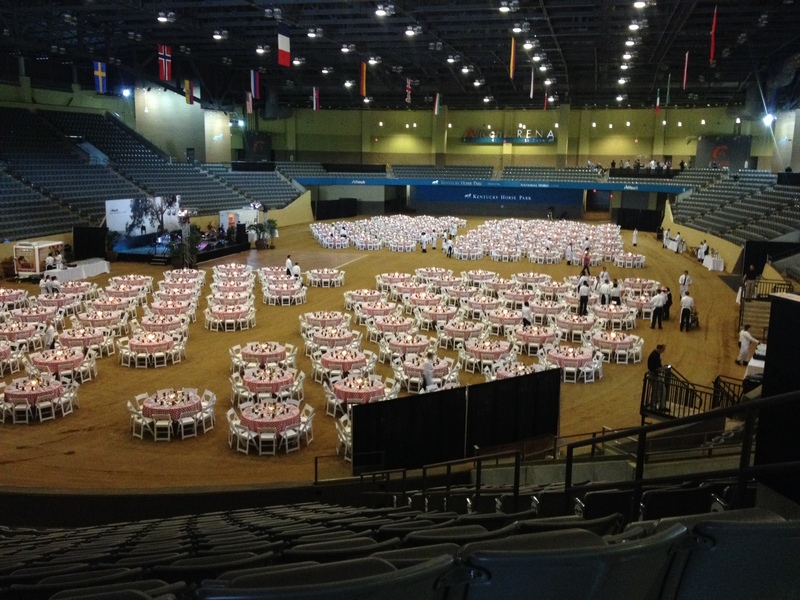 The table setup in the arena during Alltech night. 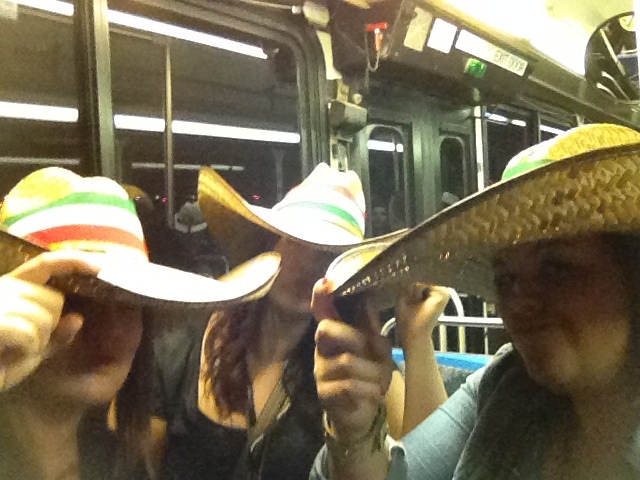 As you can probably imagine, I rocked that sombrero. 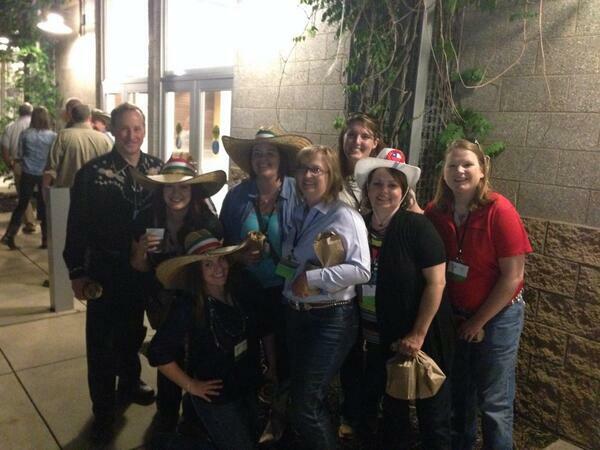 This photo is full of very well-known, very important ag bloggers …and then there is me, the one at the bottom, neither of the adjectives aforementioned, but extremely giddy to be sporting an authentic sombrero. 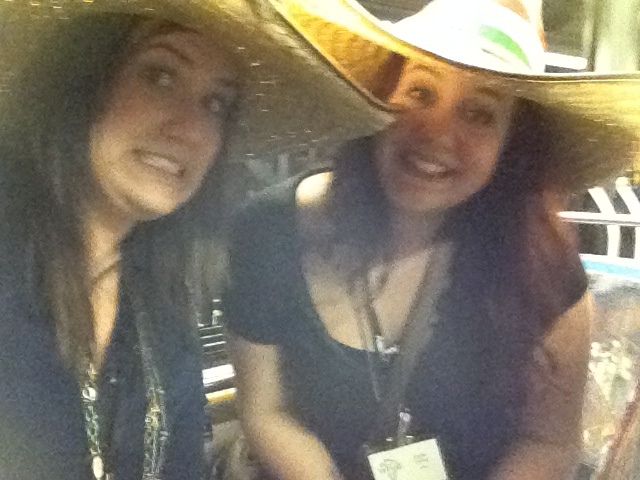 That Sombrero and I became our own personality. Right before loading the bus, a gentleman stopped me and excitedly rattled off a whole lot of spanish, very quickly. 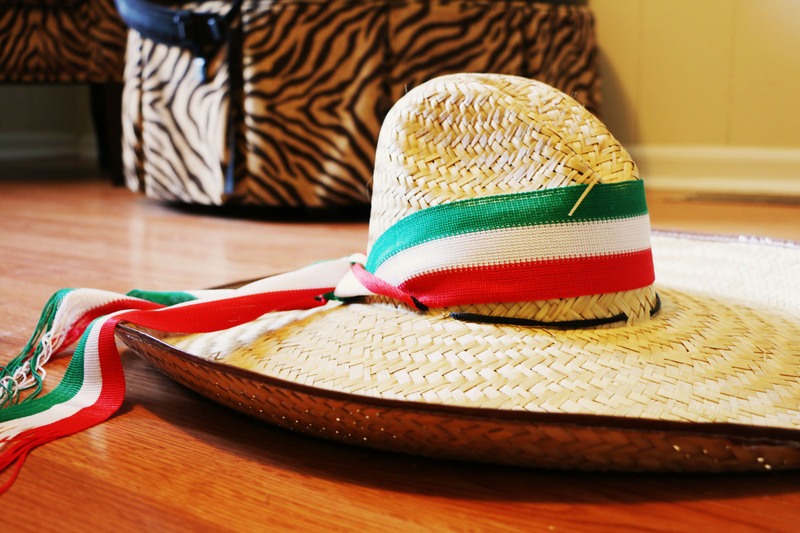 I looked at him, adjusted my authentic sombrero, smiled and straighten my name tag to make sure Danielle Hayden, USA was displayed. He smiled back and rattled off a few more sentences of very fast spanish. The only other language I have a small understanding of is Cherokee… Spanish and I are only acquainted enough to order cheese dip from a Tex-Mex restaurant. Everyone in my group died laughing. I awkwardly boarded the bus waving goodbye and apologizing, hoping that was enough to fix the situation. Despite the cultural confusion, I decided (mainly due to a huge case of sombrero hair) to continue galavanting my headpiece for the rest of the evening, including while ag gawking at Julie Borlaug, granddaughter of Norman Borlaug. If you don’t know who that is, educate yourself. He was the agriculture shiznit. ANNNNNNDDDDD…. Cue blog post conclusion! If you want to check out more about Alltech or read some of the less random, more educational blog posts from the symposium, you can check them out here. Be looking for my posts there within the next couple of weeks. Just don’t be expecting coverage from me on how ADHD symptoms can be lessened with certain nutrition tweaks. I really, really, oh-so-very badly wanted to cover that session, I was really looking forward to it, but they talked about bees right before it and I became fixated on researching the types of wildflowers to purchase in order to save the bees and then the emcee used the word “security” three times and I ended up on Google, searching for the best Bon Qui Qui GIF I could attach with it. Next thing I know, everyone is clapping and Nicole from Tales of a Kansas Farm Mom is nudging me to see my notes from the ADHD talk, I had just completely missed. Welcome to the insides of my mind, and why I needed the natural cure to ADHD to begin with. P.S.- Did you decide on Grassy Meadows or Pine Forest? Oh no! If that’s the case my poor little sombrero is going to collect so much dust. Santa better throw a version of Rosetta Stone on his sleigh. Yeah!! Glad you’re back blogging!! Pingback: What if…algae is the answer?